Sadly Herbert suddenly died of a heart attack aged 75 at 28 Highbury Hill. 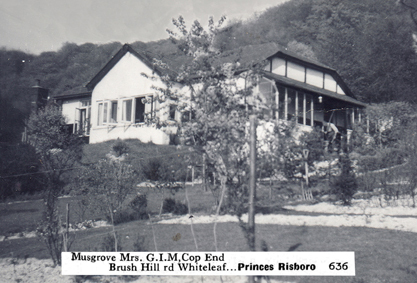 Both Herbert and his wife Ivy were now retired and lived in a bungalow at Cop End, Whiteleaf near Princes Risborough Berkshire. The couple had lived here since 1954 and following Herbert's death Ivy remained here until 1961. 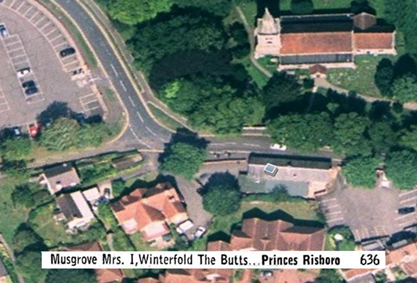 She then moved into a large house named Winterfold at The Butts in nearby Princes Risborough and remained living there to 1964. Both properties are shown below with extracts from the original local telephone directories. Note that Ivy transferred the phone number to her new home.